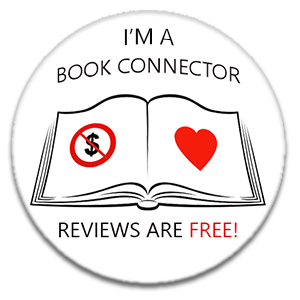 Today it’s my pleasure to welcome another absolutely awesome book blogger to damppebbles. Sarah Hardy is the lady behind the mighty ByTheLetterBookReviews, another of my favourite book blogs. Sarah joins me today to share her #R3COMM3ND3D2017. #R3COMM3ND3D2017 is my new feature which I plan to run until the end of the year (or longer if people want to take part). I’m asking all book bloggers and authors to come up with three MUST READ books. The only stipulation is that the books must have been published in 2017. There are no other rules and participants are free to choose books from any genre, providing they were published in 2017. This was the third book I had read by the author and his first stand alone. From the beginning of the story I wasn’t sure what to expect but the further I got into it the more involved and emotional I got. I love it when a book stays with so you for ages after you have read it, which is what this one did. I had really enjoyed the first book in the series but boy did this one blow me away. The storyline is a very dark one which is sadly very much going on in todays world which in a way gave the story even more of a darker edge to it. This was one of those reads that I seriously could not put down and had me gripped throughout. This was just a brilliant book. A female serial killer. What’s not to love! Getting into her head was wonderful yet scary as hell but I absolutely loved every minute of it. If you love a seriously sick and twisted read then you have to read this book. Thanks a million, Sarah, these are great recommendations. I have The Abattoir of Dreams on my TBR and I’ve already mentioned in a previous how much I love the Jake Boulder series by Graham Smith. As for Sweetpea, I am desperate to read it but it was the first book I was declined for on NetGalley. Bittersweet (geddit?) memories! I’m Sarah from Leeds. Through my love of reading I started my own book blog and have never looked back. It’s a hobby that has turned my life around, introducing me to new authors and books as well as a career change and am now part of the publishing world which is a dream come true. I am also a wife and mother to two teenagers and my two furbabies. Ooh yes, love me some Jake Boulder!